Pancreatic cancer is the tenth most common cancer in men and the ninth most common in women, but it is the fourth leading cause of cancer deaths, being responsible for 7% of all cancer-related deaths in men and 8% in women. Approximately 75% of all pancreatic carcinomas occur within the head or neck of the pancreas, 15-20% occur in the body of the pancreas, and 5-10% occur in the tail. See the image below. Pancreatic cancer. Gross section of an adenocarcinoma of the pancreas measuring 5 X 6 cm resected from the pancreatic body and tail. Although the tumor was considered to have been fully resected and had not spread to any nodes, the patient died of recurrent cancer within 1 year. The initial symptoms of pancreatic cancer are often quite nonspecific and subtle in onset. Patients typically report the gradual onset of nonspecific symptoms such as anorexia, malaise, nausea, fatigue, and midepigastric or back pain. The laboratory findings in patients with pancreatic cancer are usually nonspecific. Patients with advanced pancreatic cancers and weight loss may have general laboratory evidence of malnutrition (eg, low serum albumin or cholesterol level). See also Pancreatic Adenocarcinoma Imaging: What You Need to Know, a Critical Images slideshow, to help identify which imaging studies to use to identify and evaluate this disease. Surgery is the primary mode of treatment for pancreatic cancer. However, an important role exists for chemotherapy and/or radiation therapy. Less common histologic appearances of exocrine pancreatic cancers include giant cell carcinoma, adenosquamous carcinoma, microglandular adenocarcinoma, mucinous carcinoma, cystadenocarcinoma, papillary cystic carcinoma, acinar cystadenocarcinoma, and acinar cell cystadenocarcinoma. Very rarely, primary connective tissue cancers of the pancreas can occur. The most common of these is primary pancreatic lymphoma. Typically, pancreatic cancer first metastasizes to regional lymph nodes, then to the liver and, less commonly, to the lungs. It can also directly invade surrounding visceral organs such as the duodenum, stomach, and colon, or it can metastasize to any surface in the abdominal cavity via peritoneal spread. Ascites may result, and this has an ominous prognosis. Pancreatic cancer may spread to the skin as painful nodular metastases. Metastasis to bone is uncommon. Pancreatic cancer rarely spreads to the brain, but it can produce meningeal carcinomatosis. Pancreatic cancers can arise from the exocrine and endocrine portions of the pancreas, but 93% of them develop from the exocrine portion, including the ductal epithelium, acinar cells, connective tissue, and lymphatic tissue. Approximately 75% of all pancreatic carcinomas occur within the head or neck of the pancreas, 15-20% occur in the body of the pancreas, and 5-10% occur in the tail. Less than 5% of all pancreatic cancers are related to underlying chronic pancreatitis. Alcohol consumption does not appear to be an independent risk factor for pancreatic cancer unless it is associated with chronic pancreatitis. The risk factors for pancreatic cancer are discussed in more detail below. Smoking is the most common environmental risk factor for pancreatic carcinoma. Estimates indicate that smoking accounts for up to 30% of cases of pancreatic cancer. People who smoke have at least a 2-fold greater risk for pancreatic cancer than do nonsmokers. Current smokers with over a 40 pack-year history of smoking may have up to a 5-fold risk greater risk for the disease. Smokeless tobacco also increases the risk of pancreatic cancer. It takes 5-10 years of discontinued smoking to reduce the increased risk of smoking to approximately that of nonsmokers. Numerous studies have examined the relative risk of pancreatic cancer in persons with diabetes mellitus. A systematic review of 30 studies concluded that patients with diabetes mellitus of at least 5-years' duration have a 2-fold increased risk of developing pancreatic carcinoma. Pancreatic cancer may follow 18-36 months after a diagnosis of diabetes mellitus in elderly patients with no family history of diabetes mellitus. The risk of pancreatic cancer is even higher in patients with hereditary pancreatitis. The mean age of development of pancreatic cancer in these patients is approximately 57 years. The relative risk of pancreatic cancer in hereditary pancreatitis is increased more than 50-fold, and the cumulative risk rate of pancreatic cancer by age 70 years is 40%. The molecular genetics of pancreatic adenocarcinoma have been well studied. [26, 27, 28] Of these tumors, 80-95% have mutations in the KRAS2 gene; 85-98% have mutations, deletions, or hypermethylation in the CDKN2 gene; 50% have mutations in p53; and about 55% have homozygous deletions or mutations in Smad4. Some of these mutations can also be found in high-risk precursors of pancreatic cancer. For example, in chronic pancreatitis, 30% of patients have detectable mutations in p16 and 10% have K-ras mutations. Assaying pancreatic juice for the genetic mutations associated with pancreatic adenocarcinoma is invasive, but it may be useful for the early diagnosis of the disease. However, this approach is problematic, because genetic mutations in the pancreatic juice may be found in patients with inflammatory pancreatic disease. The initial alterations appear to be related to KRAS2 gene mutations and telomere shortening. Thereafter, p16/CDKN2A is inactivated. Finally, the inactivation of TP53 and MAD4/DPC4 occur. These mutations have been correlated with increasing development of dysplasia and thus with the development of ductal carcinoma of the exocrine pancreas. The inherited disorders that increase the risk of pancreatic cancer include hereditary pancreatitis, multiple endocrine neoplasia (MEN), hereditary nonpolyposis rectal cancer (HNPCC), familial adenomatous polyposis (FAP) and Gardner syndrome, familial atypical multiple mole melanoma (FAMMM) syndrome, von Hippel-Lindau syndrome (VHL), and germline mutations in the BRCA1 and BRCA2 genes. Hereditary pancreatitis has been associated with a 40% cumulative risk of developing pancreatic cancer at 40%. MEN-1 and VHL are other genetic syndromes associated with pancreatic endocrine tumor development. Syndromes associated with an increased risk of the development of colon cancer, such as HNPCC and FAP (and Gardner syndrome), have also shown an increased correlation with existence of pancreatic cancer, but the statistics have not been impressive. Black males in the United States have the highest incidence rate of pancreatic cancer. (See Epidemiology, below.) The reasons for the higher incidence of pancreatic cancer in African Americans are unclear. Certainly, differences in risk factors for pancreatic cancer, such as dietary habits, obesity, and the frequency of cigarette smoking, are recognized among different population groups and may contribute to the higher incidence of this disease among blacks. However, Arnold et al found that excess pancreatic cancer in blacks cannot be attributed to currently known risk factors, suggesting that as-yet undetermined factors play a role in the disease process. One possibility is a difference in the underlying frequency of predisposing genetic mutations for pancreatic cancer. In the absence of predisposing conditions, such as familial pancreatic cancer and chronic pancreatitis, pancreatic cancer is unusual in persons younger than 45 years. After age 50 years, the frequency of pancreatic cancer increases linearly. The median age at diagnosis is 69 years in whites and 65 years in blacks; some single-institution data reported from large cancer centers suggest that the median age at diagnosis in both sexes has fallen to 63 years of age. Pancreatic carcinoma is unfortunately usually a fatal disease. The collective median survival time for all patients is 4-6 months. A 5-year survival in pancreatic cancer is no guarantee of cure; patients who survive for 5 years after successful surgery may still die of recurrent disease years after the 5-year survival point. The occasional patient with metastatic disease or locally advanced disease who survives beyond 2-3 years may die of complications of local spread, such as bleeding esophageal varices. In patients able to undergo a successful curative resection (about 20% of patients), median survival time ranges from 12-19 months, and the 5-year survival rate is 15-20%. The best predictors of long-term survival after surgery are a tumor diameter of less than 3 cm, no nodal involvement, negative resection margins, and diploid tumor deoxyribonucleic acid (DNA) content. The median survival for patients who undergo successful resection (only 20% of patients) is approximately 12-19 months, with a 5-year survival rate of 15-20%. Smoking is the most significant reversible risk factor for pancreatic cancer. For patient education information, see the Liver, Gallbladder, and Pancreas Center and Cancer and Tumors Center, as well as Pancreatitis and Pancreatic Cancer. PDQ Adult Treatment Editorial Board. Pancreatic Cancer Treatment (PDQ®): Health Professional Version. January 29, 2019. [Medline]. [Full Text]. [Guideline] National Comprehensive Cancer Network. NCCN Clinical Practice Guidelines in Oncology. Pancreatic Adenocarcinoma. NCCN. Available at http://www.nccn.org/professionals/physician_gls/pdf/pancreatic.pdf. Version 1.2019 — November 8, 2018; Accessed: March 7, 2019. Conroy T, Desseigne F, Ychou M, et al. FOLFIRINOX versus gemcitabine for metastatic pancreatic cancer. N Engl J Med. 2011 May 12. 364(19):1817-25. [Medline]. Von Hoff DD, Arena FP, Chiorean EG, Infante JR, Moore MJ, Seay TE, et al. Randomized phase III study of weekly nab-paclitaxel plus gemcitabine versus gemcitabine alone in patients with metastatic adenocarcinoma of the pancreas (MPACT). J Clin Oncol 30: 2012 (suppl 34; abstr LBA148), Presented January 25, 2013 at the 2013 Gastrointestinal Cancers Symposium, San Francisco, CA. Mulcahy N. FDA Approves Nab-Paclitaxel for Pancreatic Cancer. Medscape [serial online]. Available at http://www.medscape.com/viewarticle/810564. September 06, 2013; Accessed: September 09, 2018. Kulke MH, Blaszkowsky LS, Ryan DP, Clark JW, Meyerhardt JA, Zhu AX, et al. Capecitabine plus erlotinib in gemcitabine-refractory advanced pancreatic cancer. J Clin Oncol. 2007 Oct 20. 25(30):4787-92. [Medline]. Neuhaus P, Riess H, Post S. CONKO-001:Final results of the randomized, prospective multicenter phase III trial of adjuvant chemotherapy with gemcitabine versus observation in patients with resected pancratic cancer. J Clin Oncol. 2008. 26(15S):204s(abstract LBA4504). Conroy T, Hammel P, Hebbar M, et al. Unicancer GI PRODIGE 24/CCTG PA.6 trial: A multicenter international randomized phase III trial of adjuvant mFOLFIRINOX versus gemcitabine (gem) in patients with resected pancreatic ductal adenocarcinomas. ASCO Meeting Library. Available at https://meetinglibrary.asco.org/record/159164/abstract. June 4, 2018; Accessed: September 10, 2018. Nelson R. Best Survival Ever in Resectable Pancreatic Cancer. Medscape Medical News. Available at https://www.medscape.com/viewarticle/897600. June 04, 2018; Accessed: September 10, 2018. Cancer Stat Facts: Pancreatic Cancer. National Cancer Institute. Available at https://seer.cancer.gov/statfacts/html/pancreas.html. Accessed: March 7, 2019. Cancer Facts & Figures 2019. American Cancer Society. Available at https://www.cancer.org/content/dam/cancer-org/research/cancer-facts-and-statistics/annual-cancer-facts-and-figures/2019/cancer-facts-and-figures-2019.pdf. Accessed: March 7, 2019. Maisonneuve P, Lowenfels AB. Epidemiology of pancreatic cancer: an update. Dig Dis. 2010. 28 (4-5):645-56. [Medline]. Raimondi S, Maisonneuve P, Lowenfels AB. Epidemiology of pancreatic cancer: an overview. Nat Rev Gastroenterol Hepatol. 2009 Dec. 6(12):699-708. [Medline]. Bosetti C, Rosato V, Li D, Silverman D, Petersen GM, et al. Diabetes, antidiabetic medications, and pancreatic cancer risk: an analysis from the International Pancreatic Cancer Case-Control Consortium. Ann Oncol. 2014 Oct. 25 (10):2065-72. [Medline]. [Full Text]. Li D, Morris JS, Liu J, Hassan MM, Day RS, Bondy ML, et al. Body mass index and risk, age of onset, and survival in patients with pancreatic cancer. JAMA. 2009 Jun 24. 301(24):2553-62. [Medline]. [Full Text]. Genkinger JM, Spiegelman D, Anderson KE, et al. A pooled analysis of 14 cohort studies of anthropometric factors and pancreatic cancer risk. Int J Cancer. 2011 Oct 1. 129(7):1708-17. [Medline]. [Full Text]. Urayama KY, Holcatova I, Janout V, et al. Body mass index and body size in early adulthood and risk of pancreatic cancer in a central European multicenter case-control study. Int J Cancer. 2011 Dec 15. 129(12):2875-84. [Medline]. [Full Text]. Nkondjock A, Ghadirian P, Johnson KC, Krewski D. Dietary intake of lycopene is associated with reduced pancreatic cancer risk. J Nutr. 2005 Mar. 135(3):592-7. [Medline]. Risch HA. Etiology of pancreatic cancer, with a hypothesis concerning the role of N-nitroso compounds and excess gastric acidity. J Natl Cancer Inst. 2003 Jul 2. 95(13):948-60. [Medline]. Nöthlings U, Wilkens LR, Murphy SP, Hankin JH, Henderson BE, Kolonel LN. Meat and fat intake as risk factors for pancreatic cancer: the multiethnic cohort study. J Natl Cancer Inst. 2005 Oct 5. 97(19):1458-65. [Medline]. Lin Y, Tamakoshi A, Kawamura T, et al. Risk of pancreatic cancer in relation to alcohol drinking, coffee consumption and medical history: findings from the Japan collaborative cohort study for evaluation of cancer risk. Int J Cancer. 2002 Jun 10. 99(5):742-6. [Medline]. Lowenfels AB, Maisonneuve P, Cavallini G, Ammann RW, Lankisch PG, Andersen JR, et al. Pancreatitis and the risk of pancreatic cancer. International Pancreatitis Study Group. N Engl J Med. 1993 May 20. 328(20):1433-7. [Medline]. Cowgill SM, Muscarella P. The genetics of pancreatic cancer. Am J Surg. 2003 Sep. 186(3):279-86. [Medline]. Whitcomb DC. Genetics and alcohol: a lethal combination in pancreatic disease?. Alcohol Clin Exp Res. 2011 May. 35(5):838-42. [Medline]. Mintziras I, Bartsch DK. Progress report: familial pancreatic cancer. Fam Cancer. 2019 Feb 22. 102(11):2564-9. [Medline]. Soto JL, Barbera VM, Saceda M, Carrato A. Molecular biology of exocrine pancreatic cancer. Clin Transl Oncol. May 2006. 8:306-12. [Medline]. Hahn SA, Kern SE. Molecular genetics of exocrine pancreatic neoplasms. Surg Clin North Am. 1995 Oct. 75(5):857-69. [Medline]. Shi C, Daniels JA, Hruban RH. Molecular characterization of pancreatic neoplasms. Adv Anat Pathol. 2008 Jul. 15(4):185-95. [Medline]. Goggins M, Schutte M, Lu J, et al. Germline BRCA2 gene mutations in patients with apparently sporadic pancreatic carcinomas. Cancer Res. 1996 Dec 1. 56(23):5360-4. [Medline]. Yan L, McFaul C, Howes N, Leslie J, Lancaster G, Wong T, et al. Molecular analysis to detect pancreatic ductal adenocarcinoma in high-risk groups. Gastroenterology. June 2005. 128:2124-30. [Medline]. Kojima K, Vickers SM, Adsay NV, et al. Inactivation of Smad4 accelerates Kras(G12D)-mediated pancreatic neoplasia. Cancer Res. 2007 Sep 1. 67(17):8121-30. [Medline]. Jones S, Zhang X, Parsons DW, et al. Core signaling pathways in human pancreatic cancers revealed by global genomic analyses. Science. 2008 Sep 26. 321(5897):1801-6. [Medline]. [Full Text]. Yachida S, Jones S, Bozic I, et al. Distant metastasis occurs late during the genetic evolution of pancreatic cancer. Nature. 2010 Oct 28. 467(7319):1114-7. [Medline]. Campbell PJ, Yachida S, Mudie LJ, et al. The patterns and dynamics of genomic instability in metastatic pancreatic cancer. Nature. 2010 Oct 28. 467(7319):1109-13. [Medline]. Kouvaraki MA, Shapiro SE, Cote GJ, Lee JE, Yao JC, Waguespack SG, et al. Management of pancreatic endocrine tumors in multiple endocrine neoplasia type 1. World J Surg. 2006 May. 30(5):643-53. [Medline]. Blansfield JA, Choyke L, Morita SY, Choyke PL, Pingpank JF, Alexander HR, et al. Clinical, genetic and radiographic analysis of 108 patients with von Hippel-Lindau disease (VHL) manifested by pancreatic neuroendocrine neoplasms (PNETs). Surgery. 2007 Dec. 142(6):814-8; discussion 818.e1-2. [Medline]. Groen EJ, Roos A, Muntinghe FL, Enting RH, de Vries J, Kleibeuker JH, et al. Extra-intestinal manifestations of familial adenomatous polyposis. Ann Surg Oncol. 2008 Sep. 15(9):2439-50. [Medline]. Lynch HT, Fusaro RM, Lynch JF, Brand R. Pancreatic cancer and the FAMMM syndrome. Fam Cancer. 2008. 7(1):103-12. [Medline]. American Cancer Society. Cancer facts and figures for African Americans 2019-2021. Available at https://www.cancer.org/content/dam/cancer-org/research/cancer-facts-and-statistics/cancer-facts-and-figures-for-african-americans/cancer-facts-and-figures-for-african-americans-2019-2021.pdf. Accessed: March 7, 2019. Arnold LD, Patel AV, Yan Y, Jacobs EJ, Thun MJ, Calle EE, et al. Are racial disparities in pancreatic cancer explained by smoking and overweight/obesity?. Cancer Epidemiol Biomarkers Prev. 2009 Sep. 18(9):2397-405. [Medline]. Rawla P, Sunkara T, Gaduputi V. Epidemiology of Pancreatic Cancer: Global Trends, Etiology and Risk Factors. World J Oncol. 2019 Feb. 10 (1):10-27. [Medline]. [Full Text]. Tingle SJ, Severs GR, Goodfellow M, Moir JA, White SA. NARCA: A novel prognostic scoring system using neutrophil-albumin ratio and Ca19-9 to predict overall survival in palliative pancreatic cancer. J Surg Oncol. 2018 Sep 9. [Medline]. Turaga KK, Malafa MP, Jacobsen PB, Schell MJ, Sarr MG. Suicide in patients with pancreatic cancer. Cancer. 2011 Feb 1. 117(3):642-7. [Medline]. [Guideline] Locker GY, Hamilton S, Harris J, Jessup JM, Kemeny N, Macdonald JS, et al. ASCO 2006 update of recommendations for the use of tumor markers in gastrointestinal cancer. J Clin Oncol. 2006 Nov 20. 24(33):5313-27. [Medline]. Fujioka S, Misawa T, Okamoto T, Gocho T, Futagawa Y, Ishida Y, et al. Preoperative serum carcinoembryonic antigen and carbohydrate antigen 19-9 levels for the evaluation of curability and resectability in patients with pancreatic adenocarcinoma. J Hepatobiliary Pancreat Surg. 2007. 14(6):539-44. [Medline]. Kang CM, Kim JY, Choi GH, Kim KS, Choi JS, Lee WJ. The use of adjusted preoperative CA 19-9 to predict the recurrence of resectable pancreatic cancer. J Surg Res. 2007 Jun 1. 140(1):31-5. [Medline]. Horton KM, Fishman EK. Multidetector CT angiography of pancreatic carcinoma: part I, evaluation of arterial involvement. AJR Am J Roentgenol. 2002 Apr. 178(4):827-31. [Medline]. Horton KM, Fishman EK. Adenocarcinoma of the pancreas: CT imaging. Radiol Clin North Am. 2002 Dec. 40(6):1263-72. [Medline]. Kauhanen SP, Komar G, Seppänen MP, Dean KI, Minn HR, Kajander SA, et al. A prospective diagnostic accuracy study of 18F-fluorodeoxyglucose positron emission tomography/computed tomography, multidetector row computed tomography, and magnetic resonance imaging in primary diagnosis and staging of pancreatic cancer. Ann Surg. 2009 Dec. 250(6):957-63. [Medline]. Farma JM, Santillan AA, Melis M, Walters J, Belinc D, Chen DT, et al. PET/CT fusion scan enhances CT staging in patients with pancreatic neoplasms. Ann Surg Oncol. 2008 Sep. 15(9):2465-71. [Medline]. Itani KM, Taylor TV, Green LK. Needle biopsy for suspicious lesions of the head of the pancreas: pitfalls and implications for therapy. J Gastrointest Surg. 1997 Jul-Aug. 1(4):337-41. [Medline]. Turner BG, Cizginer S, Agarwal D, Yang J, Pitman MB, Brugge WR. Diagnosis of pancreatic neoplasia with EUS and FNA: a report of accuracy. Gastrointest Endosc. 2010 Jan. 71(1):91-8. [Medline]. Micames C, Jowell PS, White R, Paulson E, Nelson R, Morse M, et al. Lower frequency of peritoneal carcinomatosis in patients with pancreatic cancer diagnosed by EUS-guided FNA vs. percutaneous FNA. Gastrointest Endosc. 2003 Nov. 58(5):690-5. [Medline]. Louden K. New risk factors proposed for pancreatic cancer. Medscape Medical News. September 26, 2013. [Full Text]. [Guideline] National Comprehensive Cancer Network. NCCN Clinical Practice Guidelines in Oncology. Neuroendocrine Tumors, v.1.2015. Available at http://www.nccn.org/professionals/physician_gls/pdf/neuroendocrine.pdf. Accessed: October 21, 2015. Katz MH, Hwang R, Fleming JB, Evans DB. Tumor-node-metastasis staging of pancreatic adenocarcinoma. CA Cancer J Clin. 2008 Mar-Apr. 58(2):111-25. [Medline]. Callery MP, Strasberg SM, Doherty GM, Soper NJ, Norton JA. Staging laparoscopy with laparoscopic ultrasonography: optimizing resectability in hepatobiliary and pancreatic malignancy. J Am Coll Surg. 1997 Jul. 185(1):33-9. [Medline]. Vollmer CM, Drebin JA, Middleton WD, Teefey SA, Linehan DC, Soper NJ. Utility of staging laparoscopy in subsets of peripancreatic and biliary malignancies. Ann Surg. 2002 Jan. 235(1):1-7. [Medline]. Jarnagin WR, Bodniewicz J, Dougherty E, Conlon K, Blumgart LH, Fong Y. A prospective analysis of staging laparoscopy in patients with primary and secondary hepatobiliary malignancies. J Gastrointest Surg. 2000 Jan-Feb. 4(1):34-43. [Medline]. Al-Haddad M, Martin JK, Nguyen J, Pungpapong S, Raimondo M, Woodward T. Vascular resection and reconstruction for pancreatic malignancy: a single center survival study. J Gastrointest Surg. 2007 Sep. 11(9):1168-74. [Medline]. [Guideline] Ducreux M, Cuhna AS, Caramella C, Hollebecque A, Burtin P, Goéré D, et al. Cancer of the pancreas: ESMO Clinical Practice Guidelines for diagnosis, treatment and follow-up†. Ann Oncol. 2015 Sep. 26 Suppl 5:v56-v68. [Medline]. [Full Text]. Rombouts SJ, Vogel JA, van Santvoort HC, van Lienden KP, van Hillegersberg R, Busch OR, et al. Systematic review of innovative ablative therapies for the treatment of locally advanced pancreatic cancer. Br J Surg. 2015 Feb. 102 (3):182-93. [Medline]. Vervenne W, Bennouna J, Humblett Y. A randomized double-blind, placebo (P) controlled, multicenter phase III trial to evaluate the efficacy and safety of adding bevacizumab (B) to erlotinib (E) and gemcitabine (G) in patients (pts) with metastatic pancreatic cancer. J Clin Oncol. 2008. 26(15S):214s(abstract 4507). Loehrer P, Powell M, Cardenes H. A randomized phase III study of gemcitabine in combination with radiation therapy versus gemcitabine alone in patients with localized, unresectable pancreatic cancer:E4201. J Clin Oncol. 2008. 26(15S):214(abstract 4506). Bernhard J, Dietrich D, Scheithauer W, Gerber D, Bodoky G, Ruhstaller T, et al. Clinical benefit and quality of life in patients with advanced pancreatic cancer receiving gemcitabine plus capecitabine versus gemcitabine alone: a randomized multicenter phase III clinical trial--SAKK 44/00-CECOG/PAN.1.3.001. J Clin Oncol. 2008 Aug 1. 26(22):3695-701. [Medline]. Cunningham D, Chau I, Stocken DD, Valle JW, Smith D, Steward W, et al. Phase III randomized comparison of gemcitabine versus gemcitabine plus capecitabine in patients with advanced pancreatic cancer. J Clin Oncol. 2009 Nov 20. 27(33):5513-8. [Medline]. Wang-Gillam A, Li CP, Bodoky G, Dean A, Shan YS, Jameson G, et al. Nanoliposomal irinotecan with fluorouracil and folinic acid in metastatic pancreatic cancer after previous gemcitabine-based therapy (NAPOLI-1): a global, randomised, open-label, phase 3 trial. Lancet. 2015 Nov 29. [Medline]. Kalser MH, Ellenberg SS. 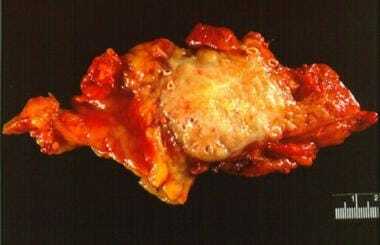 Pancreatic cancer. Adjuvant combined radiation and chemotherapy following curative resection. Arch Surg. 1985 Aug. 120(8):899-903. [Medline]. Neoptolemos JP, Stocken DD, Friess H, Bassi C, Dunn JA, Hickey H. A randomized trial of chemoradiotherapy and chemotherapy after resection of pancreatic cancer. N Engl J Med. 2004 Mar 18. 350(12):1200-10. [Medline]. Yang R, Cheung MC, Byrne MM, Jin X, Montero AJ, Jones C, et al. Survival effects of adjuvant chemoradiotherapy after resection for pancreatic carcinoma. Arch Surg. 2010 Jan. 145(1):49-56. [Medline]. Oettle H, Post S, Neuhaus P, et al. Adjuvant chemotherapy with gemcitabine vs observation in patients undergoing curative-intent resection of pancreatic cancer: a randomized controlled trial. JAMA. 2007 Jan 17. 297(3):267-77. [Medline]. Wan G, Sun X, Li F, Wang X, Li C, Li H, et al. Survival Benefit of Metformin Adjuvant Treatment For Pancreatic Cancer Patients: a Systematic Review and Meta-Analysis. Cell Physiol Biochem. 2018 Sep 5. 49 (3):I. [Medline]. [Full Text]. Pisters PW, Abbruzzese JL, Janjan NA, Cleary KR, Charnsangavej C, Goswitz MS. Rapid-fractionation preoperative chemoradiation, pancreaticoduodenectomy, and intraoperative radiation therapy for resectable pancreatic adenocarcinoma. J Clin Oncol. 1998 Dec. 16(12):3843-50. [Medline]. Pisters PW, Wolff RA, Janjan NA, Cleary KR, Charnsangavej C, Crane CN. Preoperative paclitaxel and concurrent rapid-fractionation radiation for resectable pancreatic adenocarcinoma: toxicities, histologic response rates, and event-free outcome. J Clin Oncol. 2002 May 15. 20(10):2537-44. [Medline]. Dhir M, Zenati MS, Hamad A, et al. Abstract 7: FOLFIRINOX versus Gemcitabine/nab-Paclitaxel for Neoadjuvant Treatment of Resectable and Borderline Resectable Pancreatic Adenocarcinoma: A Propensity Matched Analysis. 2018 Society of Surgical Oncology Annual Cancer Symposium. Available at https://eventmobi.com/sso2018/agenda/293228/1423770. March 23, 2018; Accessed: September 10, 2018. Kadera BE, Sunjaya DB, Isacoff WH, Li L, Hines OJ, Tomlinson JS, et al. Locally Advanced Pancreatic Cancer: Association Between Prolonged Preoperative Treatment and Lymph-Node Negativity and Overall Survival. JAMA Surg. 2013 Dec 4. [Medline]. Boggs W. Preop Chemo for Locally Advanced Pancreatic Cancer Associated With 'Excellent' Survival. Medscape [serial online]. Available at http://www.medscape.com/viewarticle/817801. Accessed: December 22, 2013. Loehrer PJ Sr, Feng Y, Cardenes H, et al. Gemcitabine alone versus gemcitabine plus radiotherapy in patients with locally advanced pancreatic cancer: an eastern cooperative oncology group trial. J Clin Oncol. 2011 Nov 1. 29(31):4105-12. [Medline]. McPhee JT, Hill JS, Whalen GF, Zayaruzny M, Litwin DE, Sullivan ME. Perioperative mortality for pancreatectomy: a national perspective. Ann Surg. 2007 Aug. 246(2):246-53. [Medline]. Wente MN, Bassi C, Dervenis C, Fingerhut A, Gouma DJ, Izbicki JR, et al. Delayed gastric emptying (DGE) after pancreatic surgery: a suggested definition by the International Study Group of Pancreatic Surgery (ISGPS). Surgery. 2007 Nov. 142(5):761-8. [Medline]. van der Gaag NA, Rauws EA, van Eijck CH, Bruno MJ, van der Harst E, Kubben FJ, et al. Preoperative biliary drainage for cancer of the head of the pancreas. N Engl J Med. 2010 Jan 14. 362(2):129-37. [Medline]. Limongelli P, Pai M, Bansi D, Thiallinagram A, Tait P, Jackson J. Correlation between preoperative biliary drainage, bile duct contamination, and postoperative outcomes for pancreatic surgery. Surgery. 2007 Sep. 142(3):313-8. [Medline]. Pawlik TM, Gleisner AL, Cameron JL, Winter JM, Assumpcao L, Lillemoe KD. Prognostic relevance of lymph node ratio following pancreaticoduodenectomy for pancreatic cancer. Surgery. 2007 May. 141(5):610-8. [Medline]. House MG, Gonen M, Jarnagin WR, DAngelica M, DeMatteo RP, Fong Y. Prognostic significance of pathologic nodal status in patients with resected pancreatic cancer. J Gastrointest Surg. 2007 Nov. 11(11):1549-55. [Medline]. Gallagher S, Zervos E, Murr M. Distal Pancreatectomy. Von Hoff, Evans, Hruban. Pancreatic Cancer. Sudbury, Mass: Jones and Bartlett; 2005. 20. Muller MW, Friess H, Kleeff J, Dahmen R, Wagner M, Hinz U, et al. Is there still a role for total pancreatectomy?. Ann Surg. 2007 Dec. 246(6):966-74; discussion 974-5. [Medline]. U.S. Preventive Services Task Force. Clinical Summary: Pancreatic Cancer: Screening. April 2004. Available at http://www.uspreventiveservicestaskforce.org/Page/Document/ClinicalSummaryFinal/pancreatic-cancer-screening. Accessed: March 7, 2019. American Academy of Family Physicians. Summary of Recommendations for Clinical Preventive Services. Leawood KS: American Academy of Family Physicians; November 2015. [Full Text]. Canto MI, Harinck F, Hruban RH, Offerhaus GJ, Poley JW, Kamel I, et al. International Cancer of the Pancreas Screening (CAPS) Consortium summit on the management of patients with increased risk for familial pancreatic cancer. Gut. 2013 Mar. 62 (3):339-47. [Medline]. [Full Text]. [Guideline] Khorana AA, Mangu PB, Berlin J, Engebretson A, Hong TS, Maitra A, et al. Potentially Curable Pancreatic Cancer: American Society of Clinical Oncology Clinical Practice Guideline. J Clin Oncol. 2016 Jul 20. 34 (21):2541-56. [Medline]. [Full Text]. [Guideline] Balaban EP, Mangu PB, Khorana AA, Shah MA, Mukherjee S, Crane CH, et al. Locally Advanced, Unresectable Pancreatic Cancer: American Society of Clinical Oncology Clinical Practice Guideline. J Clin Oncol. 2016 Aug 1. 34 (22):2654-68. [Medline]. [Full Text]. [Guideline] Sohal DP, Mangu PB, Khorana AA, Shah MA, Philip PA, O'Reilly EM, et al. Metastatic Pancreatic Cancer: American Society of Clinical Oncology Clinical Practice Guideline. J Clin Oncol. 2016 Aug 10. 34 (23):2784-96. [Medline]. [Full Text]. Kushi LH, Doyle C, McCullough M, Rock CL, Demark-Wahnefried W, Bandera EV, et al. American Cancer Society Guidelines on nutrition and physical activity for cancer prevention: reducing the risk of cancer with healthy food choices and physical activity. CA Cancer J Clin. 2012 Jan-Feb. 62 (1):30-67. [Medline]. Bekaii-Saab T, Phelps MA, Li X, et al. Multi-institutional phase II study of selumetinib in patients with metastatic biliary cancers. J Clin Oncol. 2011 Jun 10. 29(17):2357-63. [Medline]. [Full Text]. Asbun HJ, et al; International Study Group of Pancreatic Surgery. When to perform a pancreatoduodenectomy in the absence of positive histology? A consensus statement by the International Study Group of Pancreatic Surgery. Surgery. 2014 May. 155 (5):887-92. [Medline]. Girelli R, Frigerio I, Giardino A, Regi P, Gobbo S, Malleo G, et al. Results of 100 pancreatic radiofrequency ablations in the context of a multimodal strategy for stage III ductal adenocarcinoma. Langenbecks Arch Surg. 2013 Jan. 398(1):63-9. [Medline]. Pancreatic cancer. Hematoxylin and eosin stain of a pancreatic carcinoma. Note the intense desmoplastic response around the neoplastic cells. The large amount of fibrotic reaction in these tumors can make obtaining adequate tissue by fine-needle aspiration difficult. Pancreatic cancer. T staging for pancreatic carcinoma. T1 and T2 stages are confined to the pancreatic parenchyma. T3 lesions invade local structures such as the duodenum, bile duct, and/or major peripancreatic veins, and T4 lesions invade surrounding organs (eg, stomach, colon, liver) or invade major arteries such as the superior mesenteric or celiac arteries. Pancreatic cancer. Computerized tomographic scan showing a pancreatic adenocarcinoma of the pancreatic head. The gallbladder (gb) is distended because of biliary obstruction. The superior mesenteric artery (sma) is surrounded by tumor, making this an unresectable T4 lesion. Pancreatic cancer. Abdominal CT scan of a small, vaguely seen, 2-cm pancreatic adenocarcinoma (mass) causing obstruction of both the common bile duct (cbd) and pancreatic duct (pd). Pancreatic cancer. Endoscopic ultrasound of a 2.2-cm pancreatic adenocarcinoma of the head of the pancreas obstructing the common bile duct (CBD) but not invading the portal vein (PV) or superior mesenteric vein (SMV). Findings from endoscopic ultrasound–guided fine-needle aspiration revealed a moderately to poorly differentiated adenocarcinoma. Abdominal CT findings did not show this mass, and an attempt at endoscopic retrograde cholangiopancreatography at another institution was unsuccessful. Algorithm for evaluation of a patient with suspected pancreatic cancer. CT scanning for definitive diagnosis and staging must be with thin-cut, multidetector, spiral CT scanning using dual-phase contrast imaging to allow for maximal information. This schema varies among institutions depending on local expertise, research interest, and therapeutic protocols for pancreatic carcinoma. Pancreatic cancer. Tip of linear array echoendoscope (Pentax FG 36UX) with 22-gauge aspiration needle exiting from biopsy channel. Insert shows magnification of aspiration needle tip. Note that the needle exits from the biopsy channel such that it appears continuously in the view of the ultrasonic transducer on the tip of the echoendoscope. Pancreatic cancer. Cytologic samples from fine-needle aspirations (rapid Papanicolaou stain) of pancreatic adenocarcinomas. (A) Well differentiated, (B) moderately differentiated, (C) moderate to poorly differentiated, (D) poorly differentiated tumor.